Your Family, Agile, and You: Using E.T.F.B model with agile techniques – How to make a continues desirable behavior change? Using E.T.F.B model with agile techniques – How to make a continues desirable behavior change? “Research has now shown that it is not the event itself that causes the emotional reaction but the automatic thoughts that run through our head in immediate response to the event “(www.actionforhappiness.org). The way we interpret reality dictates the way we feel, behave and react. When for example we interpret an event as threatening we might attack or run away, we will experience fear or anxiety, while someone else going through the same event will not feel threatened at all. Our thinking is the Couse of our behavior and our feelings. The E.T.F.B Model (as I prefer calling it) is a common model used for consulting, training, psychology, education and more. It is a behavioral change technique enabling us to mold an interpretation of events and examine alternative interpretations. 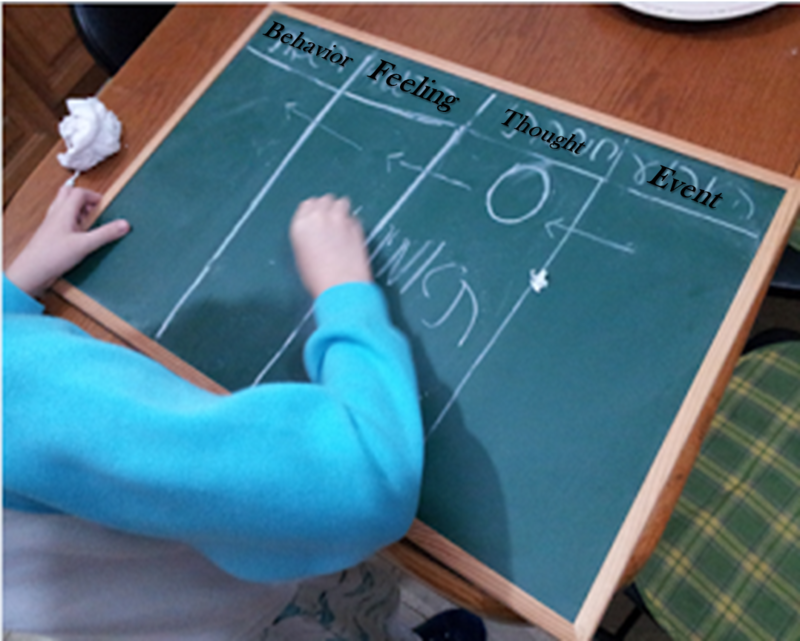 By doing so, the model helps change perceptions, feelings and reactions related to the event. It helps regain positive perspectives and understands negative thinking causing us to react to events the way we do. However, we can add some additional simple agile tools to this model and take it one step forward into producing a continues change and making the results into a habit. After few years of almost forgetting this model existence I ran into it again during one of my sun’s consulting sessions in grammar school. I admit, the method caught me again as it caught me few years earlier. But this time I felt that the way the consultant is using it does not exhaust the potential of change that this wonderful technique has to offer. I felt we were missing creating continues understanding and learning here. Using E.T.F.B with just one event, identifying undesired behaviors here and there felt limited to me. Before we get into explaining how we can use simple agile tools to elevate this model into creating continues learning of new behavioral patterns and reactions let's briefly review the E.T.F.B model itself. a. Event - Facts - What happened in reality? What was the sequence of events? b. Thought - What is the interpretation I gave to the event? What I said to myself during or after the event? Whether the event was good, bad or neutral? 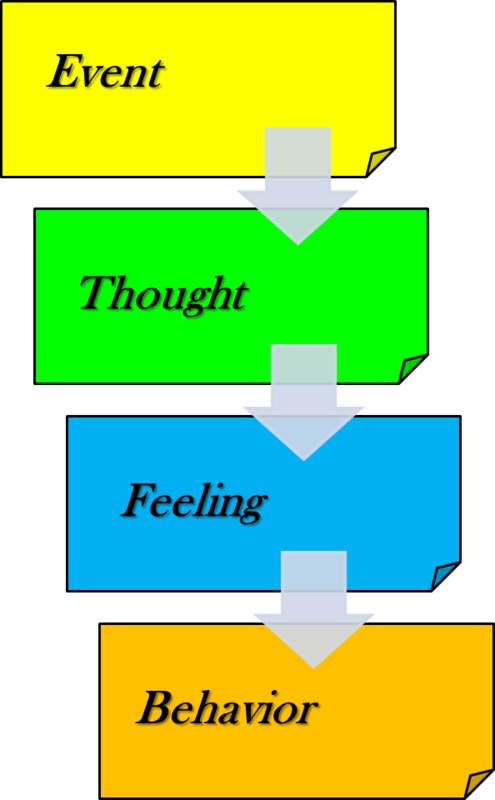 c. Feeling - What feelings arose during the event? How I felt after? How long I felt that after the event? d. Behavior - What did I do? How I acted? How the event affected my behavior? It is important to notice that the source of the emotion is the interpretation I gave to the event - not the event itself. My interpretation is that created my emotions, and though my reaction (behavior). It is important to produce this distinction before we offer alternative interpretations to an event. 2. Offering Alternative thoughts to the event – (interpretations) and what response (behavior, feeling) would it deliver. It’s Not easy to change an interpretation or thoughts that are ingrained in our way of thinking, in the events of the past or within our values ​​or messages we received from our environment. So what do we do to change the interpretation? - Why do you think this happened? - Is this fact or interpretation? - Will we be able to offer another interpretation? A girl in my class said my shirt in ugly. So I hit her. Another girl said my shirt is ugly, I gave her a kiss. What I was I thinking about when she told me what she thought about my shirt? What were my feelings in each event? Why did I feel different and I reacted differently from one event to another? Do we really expect a child, to know how to change patterns of thinking and behavior after they practicing one or few events using the model? Even with adults that will be difficult. 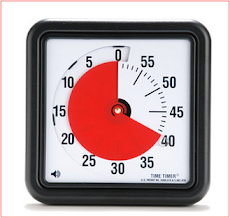 I find it hard to believe in one timers ,or even in a few I find their value limited. How can we take the new thinking patterns into a continues thinking change and make the experience a habit. If we take few agile tools into consideration when applying E.T.F.B method we can reach a wide range of alternative responses to events and though elevate the E.T.F.B expected outcomes. The agile tools are so simple, and yet they provide us as parents or professionals the ability to make things happen. We are able to take Individual events into real and continuous learning, we are able to instill change and habits and make it stick. E.T.F.B model and the agile methods both using cognitive terms and emphasize the need for change and the need to make things happen. So , how would E.T.F.B look using agile? Instead of running the E.T.F.B model on a single event only, Our goal will be to relate to a series of small events over a period of time. Those events are real and are directly related to reality that the child faced, they are not imaginary events. We will produce a visual “road of events” that contains a collection of many (preferred small) events, lightweight, tough, simple or complex events allowing simulating range of reactions. This continues visibility of analyzed events will allow identify different patterns of behaviors. The intention is certainly not to highlight a problematic event but to be able to see a pattern of many deferent events (good or bad) that will allow dealing with. If necessary, we will focus on specific cases and produce learning and patterns. We would like to be able to see the whole picture, “walk” in the reality of events , experience events , learn from them , experience the next event, fix again and back again continuously . Though producing continuous learning and growing habits of reactions to events. 1. Create visibility. Visualization is key! - Visibility has the power to make things happen. When I see things, there is a greater chance that I will bring them into my attention and response to changes in the desired direction. 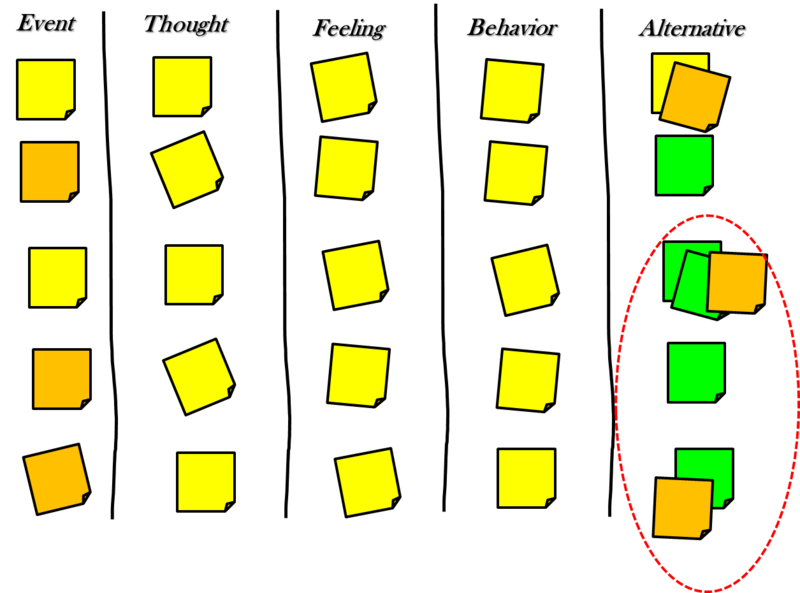 Therefore, visualize the event path for resolution using a simple task board. When the task board holds the events, it’s easier to “break free” of them. I do not overload my memory with lots of events, resolutions, feelings, thought, rather I can relate to them in one place, my task board. So get your child a board and get him visualize the path of the event. 2. Active versus passive. The event owner is the Child that is required to respond to an event, or to understand the event. The event owner should be active by identified the events (physically – not only respond to questions). Ask him to create the list of events he experienced on the board. He will be the one to actively tack and record the steps of E.T.F.B and the expected behavior. Not the teacher, not a grownup but the one who is accountable and responsible for the change – meaning, the one that experienced the events. The control moves physically to the event owner. 3. Focused on events that occurred in the recent past. Last day for example. 4. A variety of options allows reference to diverse and varied learning. Make sure to have a verity of events on the board. Having variety of events on the board, won’t highlight a child as problematic in one area based on one event rather allow the child to experience positive reactions and positive feedback. Make sure to visualize good and ”bad” events on the board. The board should records a collection of several events, collection of some interpretations and some comments. 5. Communication- selects 1-2events each day; 10 minute conversation and practice to analyze an event. TIP : start with simple events then move to the more though ones. Gaining the ability to analyze using relatively simple events will elevate the ability to analyze more complex and controversial events and probably will add to the confidence of dealing with such more controversial behaviors or reactions. 6. Continues improvement – when we have a bunch of events with feelings, reactions and behaviors all visible on the board, we can easily learn from all of them regarding our habits or patterns of behaviors. In addition, when we are dealing with events on a regular basis, we are able to learn from today’s event. Implement it right away tomorrow, learn again and then correct if necessary. Application – Do not focus on the theory level of learning. Get out there and experience new events and new suggestions for changes. Implement the conclusions to the next event. Learning from a single event without the application on other events with a short period of time passes has limited and temporary value. Set goals – at the end of a 10minute discussion, set short term goals, small steps of actions to take toward the next event, or the next day and then reexamine those goals against the new events or reactions and decide over the next actions to take. Reflect the change. For example if you tease me I'm going to be a “wall” (wall = not responding, that wall cannot be offended, right?!) So I'll ask the owner of the event to set his target to the next day or to the next event, such as: How many times this week I think I can be a “wall”? 1, 2, 3? I will re-examine this behavioral goal and the related reaction. 7. learn from mistakes – small events, small steps of improvements allows making small mistakes which can easily be identified and dealt with. Don’t be afraid to make mistakes, challenge those mistakes and learn new patterns of behaviors. Richard Wiseman's "Rip It Up." - It is kind of an antithesis to "feelings form behaviour": Wiseman shows, based on good scientific research, that it is the other way round very often: "behaviour forms feelings". And he draws a lot of further conclusions and advice from that. Excellent stuff. I am trying to help the Oregon School for the Deaf consider using some of this. We had talked in 2012 about that, but the older email I have for you bounced back. Could you possibly send me an update to restart our conversation around that? It is kind of an antithesis to "feelings form behaviour": Wiseman shows, based on good scientific research, that it is the other way round very often: "behaviour forms feelings". And he draws a lot of further conclusions and advice from that.